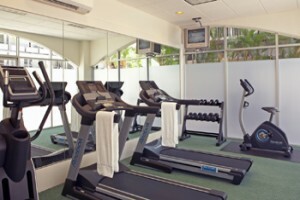 Situated with the renowned sands and lapping waves of Waikiki Beach just a short distance away, the Coconut Waikiki Hotel is an inviting hotspot where visitors the world over can find plenty of modern style, warm comforts, generous amounts of room to roam and a great level of service, all at an affordable price. With a variety of local highlights dotted in close proximity that range from natural vantage points to elegant eateries, there is plenty to see for the avid explorer, while the hotel itself houses an array of generously spacious accommodations that offer fantastic views of the surrounding Hawaiian landscape, making this a visual delight for everyone and anyone. Prices are per person, per night, based on sharing a double/twin room. A minimum duration applies. 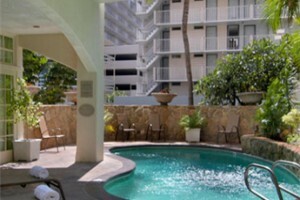 Located close to the softened sands and ebbing waters of Waikiki Beach, the coconut Waikiki Hotel serves as a peaceful haven where the sights and sounds of Hawaii can be enjoyed along with an abundance of modern comforts all at an affordable price. Explorers can enjoy the many local highlights dotted around the area just waiting to be discovered, such as dining venues and natural vantage points, while the hotel itself is perfect for kicking back, relaxing and enjoying the soothing ambiance of Hawaii, and with a variety of lavishly designed accommodations all offering great views of the landscape, a memorable occasion is there for the taking. 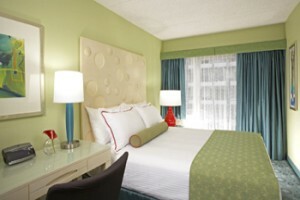 The City View Queen Bed Room offers guests a comfortably designed accommodation fitted with plush furnishings and modern amenities all throughout a setting of stylish decor. 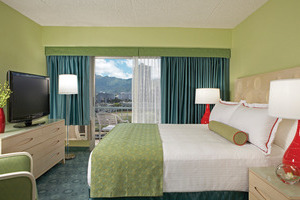 The room features a private balcony that showcases views of the Waikiki skyline. The City View Two Double Bed Room offers guests a comfortably designed accommodation fitted with plush furnishings and modern amenities all throughout a setting of stylish decor. 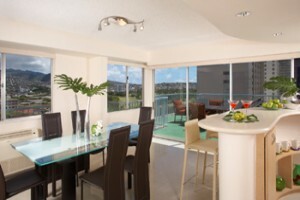 The room features a kitchenette and a private balcony that showcases views of the Waikiki skyline. The City View King Bed Room offers guests a comfortably designed accommodation fitted with plush furnishings and modern amenities all throughout a setting of stylish decor. 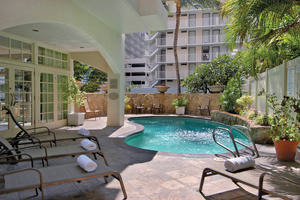 The room features a kitchenette and a private balcony that showcases views of the Waikiki skyline. The Mountain View Two Double Bed Room offers guests a lavishly fitted accommodation beautifully designed with contemporary fittings and elegant decor all enhanced by plush comforts. 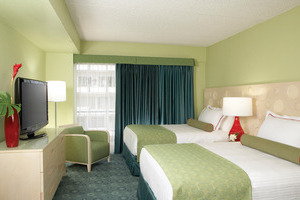 The room features a kitchenette and a private balcony that showcases views of the Ko’olau Mountain. The Mountain View King Bed Room offers guests a lavishly fitted accommodation beautifully designed with contemporary fittings and elegant decor all enhanced by plush comforts. 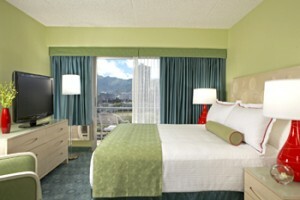 The room features a kitchenette and a private balcony that showcases views of the Ko’olau Mountain. The Coconut Executive Suite King Bed offers guests a generously spacious accommodation intricately designed with lavish furnishings, stylish amenities and elegant decor throughout a setting that grants plenty of privacy. 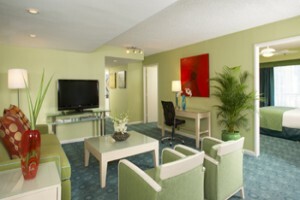 The suite features a kitchenette and two private balconies that boast of premier Waikiki skyline views. The Coconut Executive Suite King Bed Accessible offers guests a convenient accommodation fitted with easily accessible amenities, widened doorways and grab rails to ensure a smooth and memorable stay. The suite features a kitchenette and two private balconies that boast of premier Waikiki skyline views. The Coconut Two Bedroom Penthouse Suite offers guests a palatial accommodation filled to the brim with lavish comforts all accompanied by modern amenities and stylish decor throughout. The suite features a full kitchen, a dining area and a spacious balcony that looks out towards both the Waikiki skyline and Ko’olau Mountain. 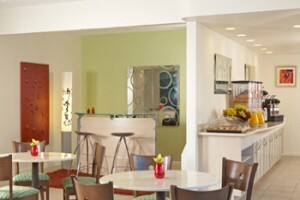 Lobby – Enjoy complimentary buffet breakfast each morning at this warm and welcoming lobby venue.